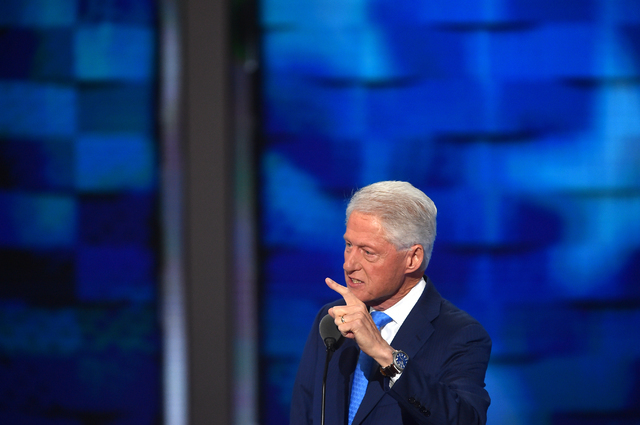 As he stood at the lectern last night, Bill Clinton was doing more than delivering another convention speech, something he has done every four years spanning four decades. 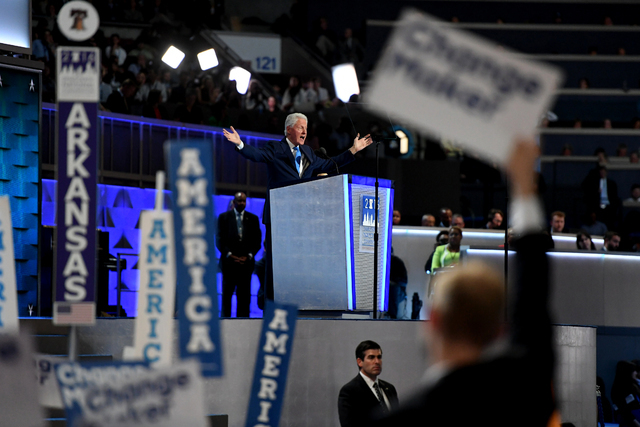 As he stood at the lectern last night, Bill Clinton was doing more than delivering another convention speech, something he has done every four years spanning four decades. This was a larger moment for the former president, and it was a long time coming. In this one speech, he was essentially making good on a marital and political promissory note by employing the full measure of his rhetorical skills to boost his wife’s history-making week as the first woman to become a major party nominee. The quality of the rhetoric aside, there has never been a speech quite like the one Clinton delivered here in Philadelphia. A husband speaking on behalf of his wife – that has been done before. A former president speaking in support of a prospective president also is nothing new. But the combination of the two is unprecedented. A former president who wants to be first man extolling the virtues of a former first lady who wants to be president. Only the Clintons. “Only the Clintons” applies in so many ways. Only the Clintons have been hanging around together at the top of American politics for a full quarter century. Only the Clintons can excite and then exasperate their fellow Democrats with such dizzying predictability. Only the Clintons (or maybe now President Barack Obama) can send the Republicans into paroxysms of rage and the deepest, darkest pools of conspiracy theorizing. Only the Clintons can keep going and going no matter what obstacles others or they themselves throw in their way along their long and winding path. Her work for the Children’s Defense Fund, their time in Texas for the 1972 McGovern campaign, the first time he met the Rodham family in suburban Chicago, Bears fans all, his efforts to get her to marry him, once, then twice – he went through the story of their lives together as though he was talking to friends in a bar, easy and relaxed, a Cliff’s notes sanitized version of a more complicated story, but a love story nonetheless. Thick and thin, joy and sorrow, yes, but no mention of the events that led to his impeachment or any of the other personal misdeeds that tore at their private relationship and endangered their political lives together. The first time, she was not ready. The second time he flattered her more, saying that he knew a lot of young people who were interested in politics but that she was better than any of them at actually doing things. And he finally got her to visit him in Arkansas, where she took a teaching position and started the first legal aid clinic in northwest Arkansas. And how he finally drove her by a little house she had admired in Fayetteville and told her he had bought it at a mortgage of $175 a month. “The third time was the charm,” he said. They were married on Oct. 11, 1975. “I married my best friend,” he said. He hoped it was a decision she would never regret. Clinton and Clinton were 40-something postwar baby boomers when they arrived on the national scene, shaped by the vibrant and rebellious sixties, rising to take power from a generation defined by the Great Depression and World War II. Bill was chowing down on Big Macs. Hillary was experimenting with different color hair bands. Now they are old timers, battered if not beaten by the vicissitudes of time and experience, agents of change transformed into what some consider symbols of the old school. Yet still, despite it all, enjoying one more chance to make history. The Bill Clinton of 2016 is a shadow of his former self, thinned by years of a vegan diet following heart bypass surgery. His speeches for his wife during the 2016 primary campaign seemed subdued, with only occasional moments when he rose to his previous high standards. But aides and friends say that this speech meant more to him than any he had given this year. The personal implications and political roots of this singular speech stretch back through the decades to the fall of 1971, when Bill and Hillary met in New Haven at Yale Law School, where they were both students, and eventually realized they could get places together that they could not reach apart. Four years later, Hillary stunned her friends by leaving the east coast and joining her boyfriend in the hills of northwest Arkansas, where he was running for Congress. For the next 30 years of their inimitable and tumultuous partnership, she subsumed her own political aspirations for the sake of their rise, serving when needed as his most important policy adviser and campaign strategist during their tenures in the Arkansas governor’s mansion and later in the White House. Over the course of those years, her strong feminism – the side of her that inspired Bill to enjoy a saying about the duo, “buy one, get one free,” and that prompted her to explain that she did not intend to just stand by her man or stay home and bake cookies – was in conflict with the demands of their political survival. When necessary, standing by her man was precisely what she did. When he needed that support for a comeback in Arkansas, she changed her last name from Rodham to Clinton. With his career and their futures on the line in Washington in the midst of the Whitewater investigation and the Monica Lewinsky scandal, she led the political defense, turning the personal into the political by framing it all as a fight against a vast right-wing conspiracy. Protecting him – and their mutual interests – for so many decades led her to armor herself in what she considered a battle for the greater good. It was a variation of the ends-justify-the-means rationalization. Some of it was her own disposition, but it was also in large part because of him that she became encrusted with reflexive defensiveness, making her year by year more secretive and less than transparent in her dealings with the news media and the public. As they were leaving the White House, his eight years up, nothing left for him to run for after a life of running, it became her turn. First the Senate. Then the unsuccessful presidential run in 2008. Then secretary of state. And now this moment. There has always been a seesaw aspect to the Clinton partnership. When one is up, the other tends to be down. Political opponents who think they might weaken Hillary by revisiting Bill’s libertine tendencies should know that her popularity ratings have consistently risen when she takes on the sympathetic role of victim. But although Clinton considers himself a masterly political tactician, whatever magic he has too often disappears when it comes to his wife’s campaigns. At a key moment during the 2008 primaries, he managed to anger if not alienate African American voters in South Carolina and elsewhere by belittling Obama’s experience, calling his run for the presidency a “fairy tale” and accusing the Obama campaign of “playing the race card” against him. Bill Clinton seemed flummoxed by Obama. For years, he had luxuriated in Toni Morrison’s description of him as “the first black president,” at least in a symbolic or honorary way. Now along came someone who truly could be the first black president. Bill Clinton did not react well. This year, he recklessly strolled across an airport ramp to gab with Attorney General Loretta Lynch, days before the FBI decided not to prosecute Hillary in the private-email-server case, playing into the hands of conservative critics. 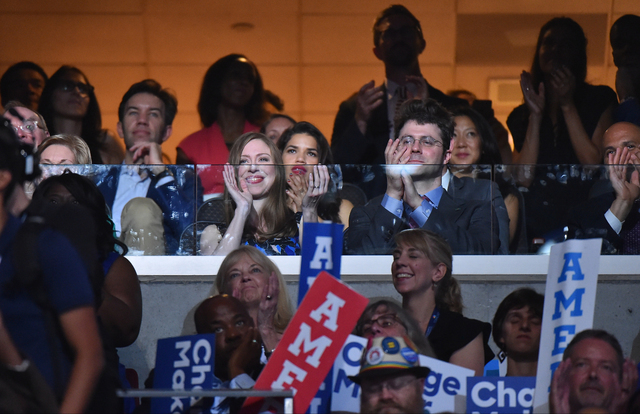 Clinton has been speaking at Democratic conventions since he was in his early thirties, 10 in all, and the results over the years have shown him at his best and worst. He was humiliated while delivering the keynote speech for Michael Dukakis in Atlanta in 1988. Delegates yakked on the floor, barely listening. The lights in the hall were too bright. And he droned on so long that cheers erupted when he reached the words “In conclusion.” His own acceptance speeches had only a few memorable lines – believing in a place called Hope in 1992, building a bridge to the 21st century in 1996. Four years ago in Charlotte, North Carolina, he articulated the case for the Democrats and against the Republicans with a power and simple clarity that President Obama could not summon. That speech, lifting the party out of a mild funk, might have been his most meaningful at a convention since 1992. Until this one. It was an unusual speech from beginning to end, as the husband tried to make the case for his wife through a quiet, rambling, at times touching, at times prosaic love letter, the likes of which no modern convention has ever quite seen or heard. Only the Clintons.